Over the summer some of the team traveled to Captain Issac Paine Elementary School to rid the playground of litter and debris. 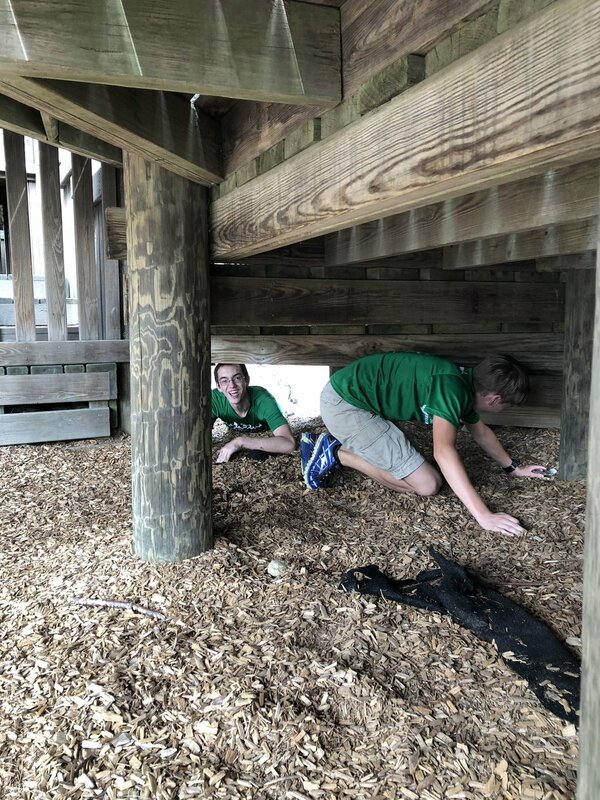 The team members tirelessly searched the desolate playground for hours crawling under large structures and checking behind every bush in sight. At the end of the long fun filled day the playground was clean and ready to welcome the young children for their next school year. Captain Issac Paine finally had a clean playground, but the team wasn’t finished yet. In November the team took the treacherous journey once again to the elementary school but this time they weren’t headed for the playground. The team helped for a week at the school’s hour of code. They explained what FRC is and all about what each member does on the team (early recruitment) and even showed some footage from last year’s competition. Then the students took part in the hour of code and coded robots to dance, mine craft men to mine, and instruments to play symphonies. The week was a success and all the elementary students had a good time.